The king of animals on a metal wall decoration ! Dominate the savannah with this metal lion head. The dimensions of this contemporary wall decoration are 40 x 51 cm. 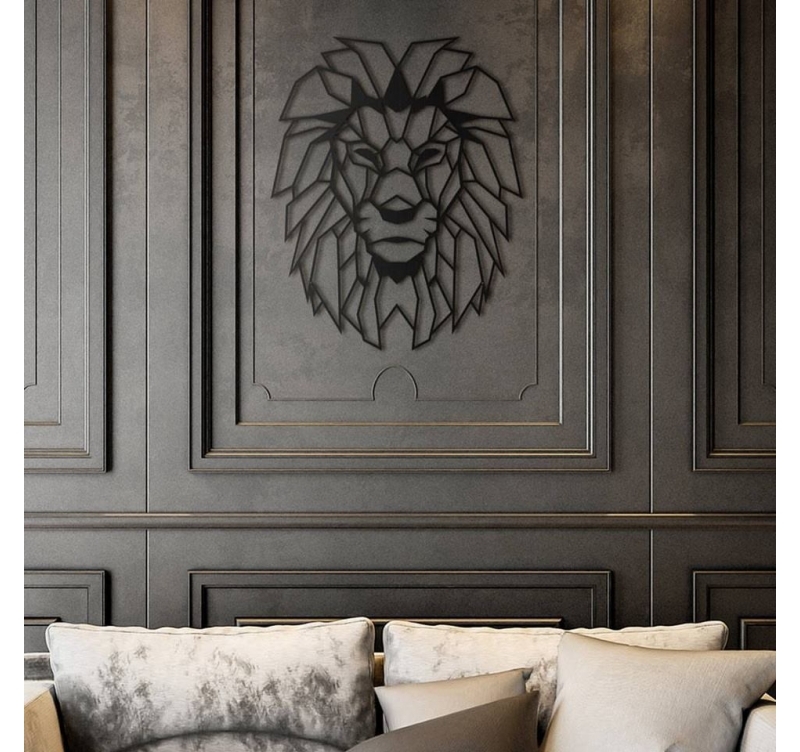 This design nature lion is delivered free in metropolitan France and Belgium. 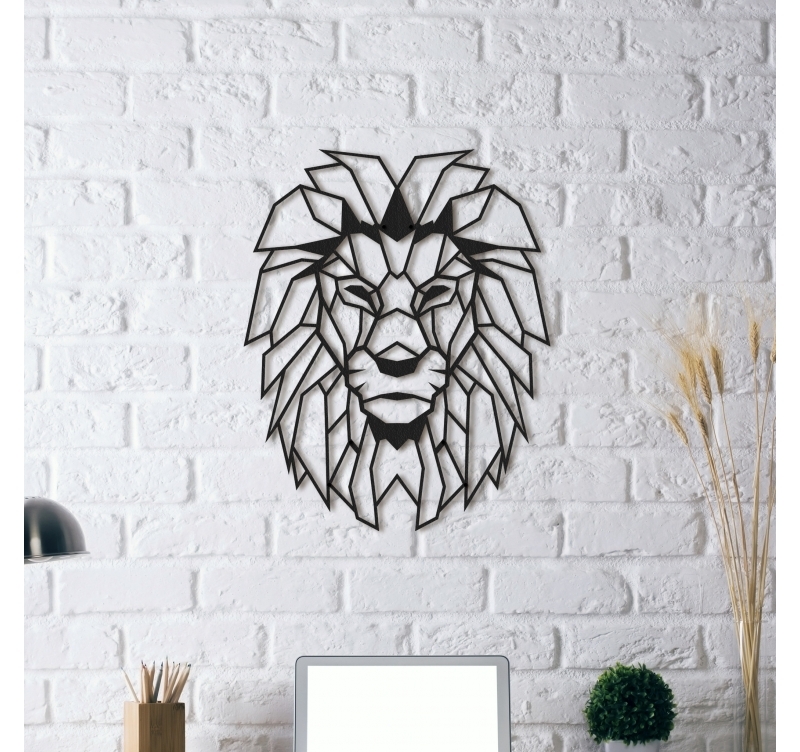 Power, serenity and strength show in this metal wall decoration. 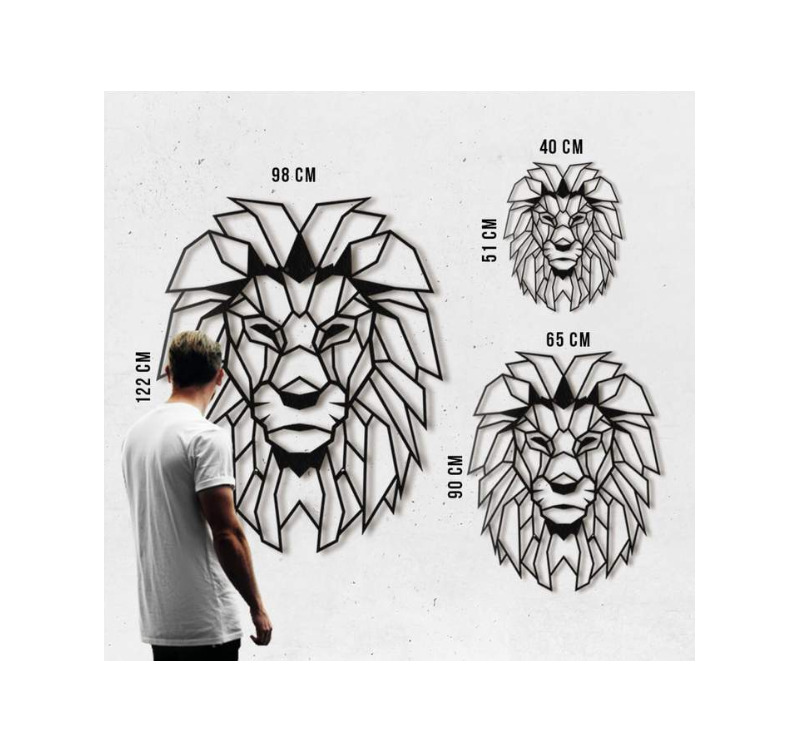 The lion, one of the most famous animals in the world, is here on a design wall decoration for a cool and stylish interior. 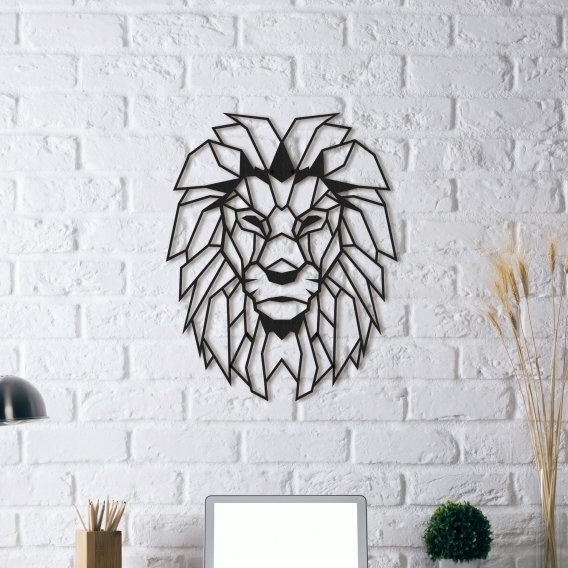 The metal made mane gives volume to this Zen wall deco identifying clearly the king of animals. All our design metal decorations are hand made by our creators and treated with a black finish for a long lasting quality. This lion metal design sculpture is wrapped in foam and in a protective cardboard box for a safer delivery.